To get to Guaranteed Rate Field isn’t near as challenging as getting to Wrigley, its venerable neighbor to the north. 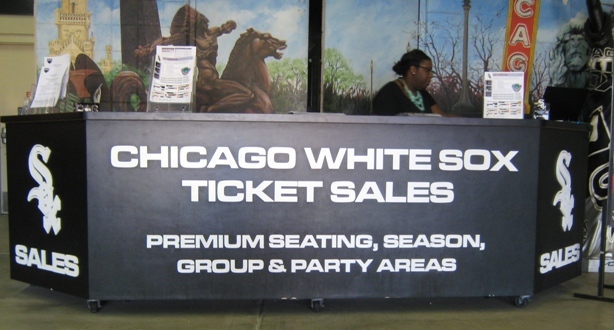 There are a few reasons for this: the White Sox offer more parking, they don’t draw as well as the Cubs, and there isn’t much else in the area drawing crowds, at least not at the moment. But this isn’t to say that you won’t run into difficulties on the South Side. The Dan Ryan Expressway (I-90/94) in Chicago was recently called one of the worst bottlenecks in America by Some Highway Commission; the Red Line gets packed before games—and people often complain of the odor of urine, although I don’t remember it; and the neighborhood, while improved, is not a place where many folks remain after the game. But as of 2011 the nice folks at Metrarail, one of the public transportation arms of Chicago, have introduced a new remedy to all of this. 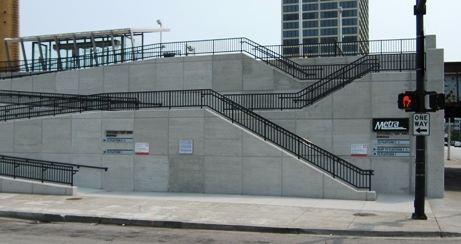 Lou Jones, apparently, was into stairways and ramps. Metra is the commuter rail service serving the metropolitan area. Train lines run from towns as remote as Kenosha, Wisconsin and Manhattan, Illinois. It is a highly regarded service for commuters, with quiet and efficient cars. It can be used for getting to Sox or Cubs games, but from most routes it involves a transfer to the CTA Red Line downtown, and sometimes that includes a walk of a few blocks. 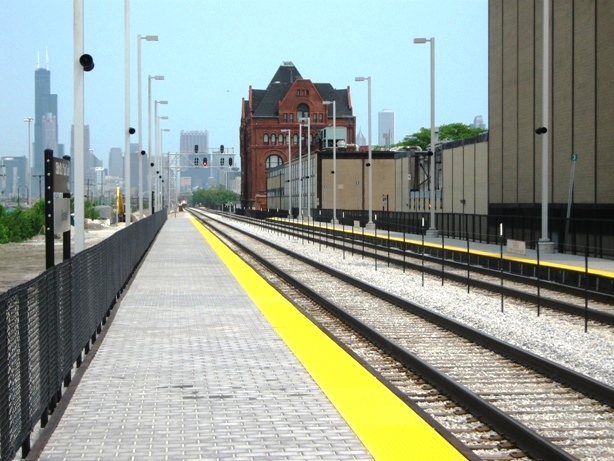 In 2010 Metra feverishly worked on a station located at 35th and LaSalle Streets, which requires a very short walk to get to Guaranteed Rate Field. The new station is called the “Lou Jones/Bronzeville Station” named after Lou Jones/Bronzeville (snort), a state majority leader who passed in 2006. The new station is part of the Rock Island Line, which has its suburban terminus about 40 miles southwest of Chicago in Joliet. The daily fee for parking is usually just a buck or two, and it’s free to park on weekends—a much better deal than you’ll get anywhere close to the ballpark. Depending on how far away you start, the fare for the train one way can be between $2.25 and $7.75. By yourself or with maybe one other person, it’s probably cheaper than gas and parking, not to mention the saved aggravation of driving in downtown Chicago, which can be irritating for a Sox game. Far better to enjoy a beer on a train.